Reading Gone Girl by Gillian Flynn was a thrilling experience that left me asking for more. However, watching it on the big screen was a totally different ball game. What were till now figments of my imagination came alive in vivid images, sounds, and characters. It was a whole new dimension – a sensory onslaught. Ben Affleck’s Nick Dunne passionately proclaiming ‘I did not kill my wife, I’m not a murderer’ amidst disbelief and speculation, haunted me for weeks. Such is the power of videos. Organizations across the world are increasingly using this fascinating medium – the video – to train their employees on a wide range of topics, while keeping training budgets in check. Giants such as Microsoft and Oracle reported substantial savings in training costs after they started using videos as part of their training initiatives. Oracle saved over $10 million by replacing a single, annual in-person event for its entire sales staff with on-demand videos. Why are videos popular, readily accepted by learners, and how do they facilitate optimum knowledge transfer? The secret is their ability to appeal to learners of all styles and their reusability quotient. They beat the absence of a human instructor and improve retention. Where can they be used? Videos can be used in all training types such as compliance, safety, induction, and product trainings, to name a few. 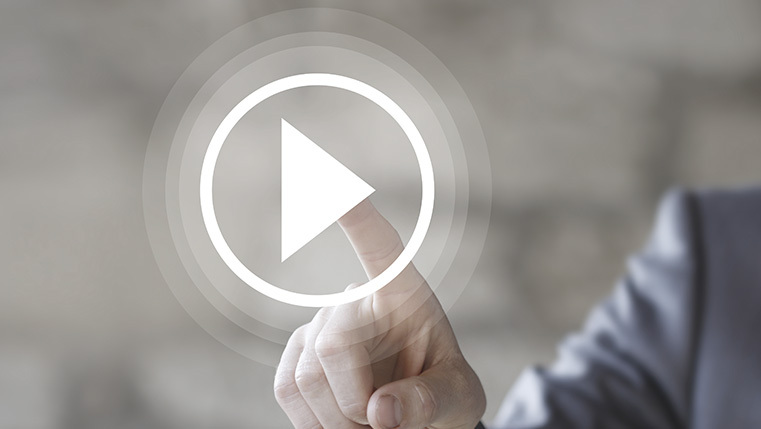 Your message from the CEO to assure employees about the proposed change, inspirational stories of senior sales reps, and product demonstrations, all find the perfect channel to reach learners through videos. How can we use videos in my organization? They can be used as part of your e-learning programs or as performance support tools. Your employees can watch them as often as needed to master skills. The rising use of mobile devices at work makes videos highly effective even as part of m-learning initiatives. What are the new trends in video-based learning? Changing learner characteristics such as shrinking attention spans and organizational drivers such as the need to offer learners at far-off locations, real-life experiences of places and products, are compelling videos to revamp themselves. From offering 360 degree views to interactive experiences, it’s a whole new gamut out there. Intrigued by these possibilities? Want to explore each question in detail? Access our eBook that talks about using videos in online learning in its entirety. Get your copy now and delve into the nuances of using videos to pep up your training.